Podargus ocellatus Quoy and Gaimard, 1830, Arfak Peninsula, New Guinea. Six subspecies. 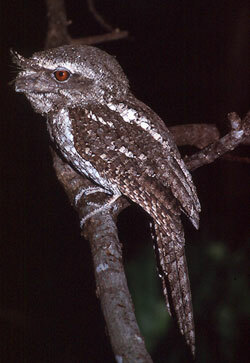 English: Little Papuan or plumed frogmouth; French: Podarge ocellй; German: Marmorschwalm; Spanish: Podargo Ocelado. 15–19 in (37–48 cm); 4.6–10.1 oz (130–286 g). 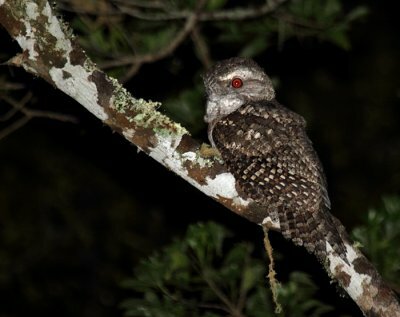 Upperparts of males vary from dull gray-brown to deep rufous with varying amounts of streaks, marbling, and spots; underparts often have whitish barring and longitudinal dark streaks. Females are often darker than males. Eastern Australia, New Guinea and satellite islands, north Solomon Islands. 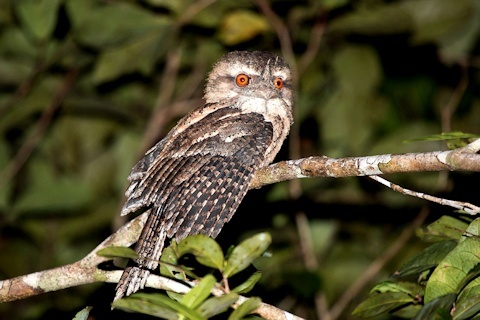 Usually roosts in thick vegetation during day, active in territory only at night. Pair defends territory with song and calls, backed up by bill-snapping when intruding birds enter territory. Sallies to catch mainly insect prey from ground and tree trunks, using succession of perches on tree branches and stumps. 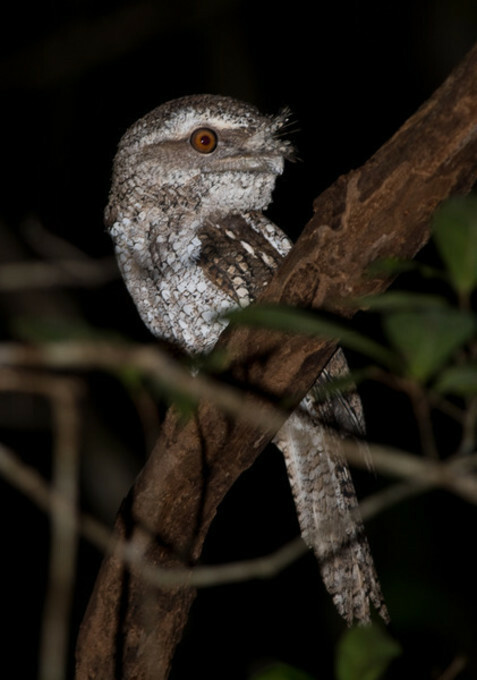 Breeding season in Australia from August to December, with a single brood each year. Nest is small platform in tree, with one or occasionally two white eggs. 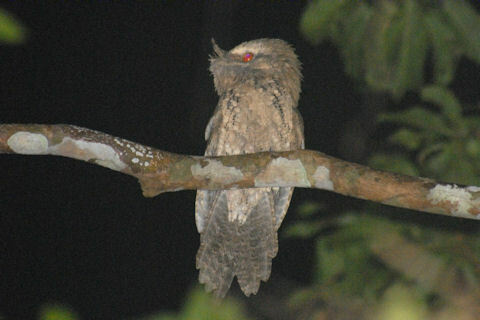 Male known to incubate and brood small young during day. Fledging period at least 31 days. Not threatened overall but rare in Australia.